There aren’t many things in this world more universally loved than pizza. The only people that don’t like pizza are ones that either haven’t tried it or have only had mediocre pizza. While the Mississippi Gulf Coast is known for its phenomenal seafood, there are also several incredible places down here to get a slice. 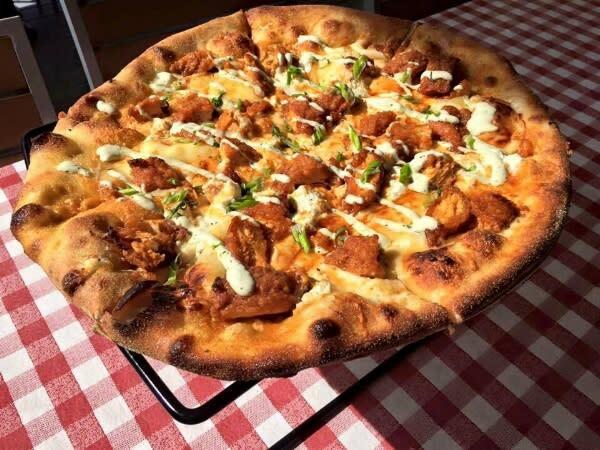 From Bay St. Louis, to Gulfport, Biloxi and Ocean Springs, we’ve got you covered on where to go when a pizza craving hits. 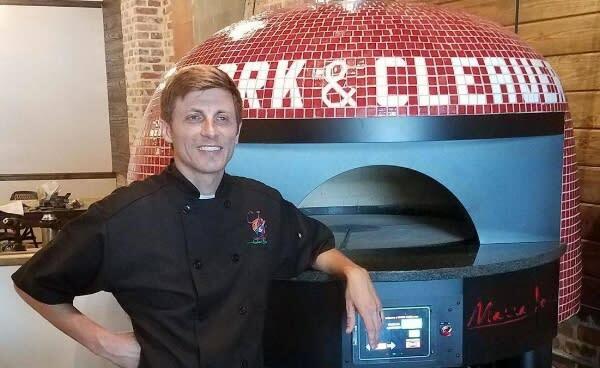 Although it’s only been open since July of 2017, Cork & Cleaver has quickly earned a reputation for having some of the best Italian food around, starting with their unique and gourmet pizzas. The restaurant is owned and run by award-winning chef, David Dickensauge, and his staff utilizes an incredibly rare, customized Marra Forni oven that is one of less than 2,000 in the world. The pizzas at C&C are divine, plain and simple. Customers have several delicacies to choose from when deciding what toppings they want, including fried oysters, prosciutto, filet mignon and more. Even if all you’re in the mood for is a classic margarita, you’ll have a hard time finding a better one than at this Bay St. Louis bistro. 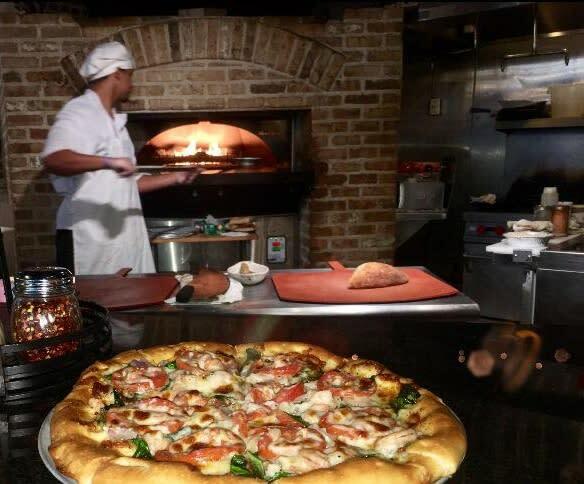 When looking for your pizza fix in Gulfport, look no further than Tony’s Brick Oven Pizzeria. Located the historic downtown district, Tony’s opened in 2010 and has been a huge success. The gumbo pizza on their menu is perhaps the best twist of coastal cuisine on pizza that you’ll find down here. And yes, the gumbo pizza is exactly what it sounds like: spicy roux, shrimp, crab meat, andouille sausage, tomatoes and okra, all piled on a hand-made crust. Perhaps the most shocking part of the Tony’s eating experience is how affordable it is, as you can get a whole pepperoni pie and an order of the amazing fried mozzarella squares for $12. Talk about bang for your buck! You had us at ice cream and pizza, Sal & Mookie’s! This local favorite is located right on the beach in Biloxi and has been so instrumental in the revitalization process for the Mississippi Gulf Coast after Hurricane Katrina. With its centralized location, Sal & Mookie’s is always a popular spot, especially during the summer months and busy weeks like Cruisin’ the Coast and Mardi Gras! If you want to dine like a local, be sure to try the crawfish étouffée pizza—you won’t regret it. Make sure you save room for dessert at this family-friendly pizzeria, though, as their milkshakes, sundaes and ice cream floats are delicious! 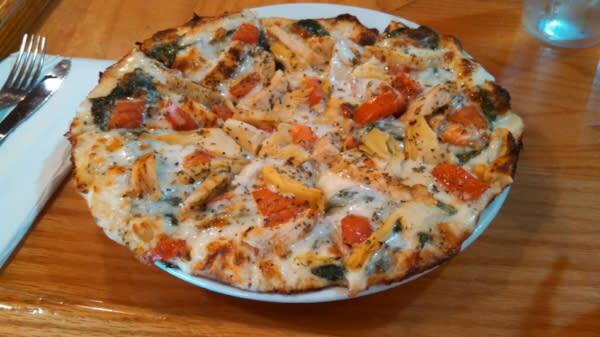 If you’re a thin crust pizza lover, then you have to try Tom’s Extreme Pizzeria in downtown Ocean Springs! They have over 30 specialty pizzas that are inspired by various states in the U.S., and each one is more appealing than the last. Tom’s is another great location for pizza joint for families, and it won’t put a big dent in your wallet either. And if you’re just having a movie night and don’t want to leave the house in your pajamas, just give them a call because they deliver! Now it’s time for you to quit reading and start eating! Enjoy!